Wallowa County Farmers' Market: Shortcake Social Coming This Saturday! Exciting fun set for this week at both Wallowa County Farmer's Markets! Along with our first market with chicken at the Enterprise market, we will again have fresh berries and cherries and produce is really coming in now! We will also have great music from Jaspar Lepak who plays folk and americana music and is "best known for her bell like voice and introspective storytelling." We will have a record number of vendors at the Saturday market along with our annual Homemade Strawberry Shortcake Sale to benefit Farmer's Market. 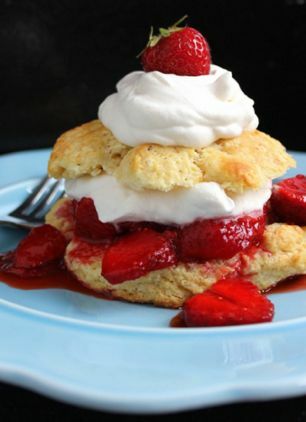 Just $5 for homemade shortcakes topped with local strawberries and real whipped cream! And don’t miss your chance to adopt a pet with the Humane Society! Music will be by Homemade Jam, a great local group that plays Old time, toe tapping, mountain music. Don’t miss out!